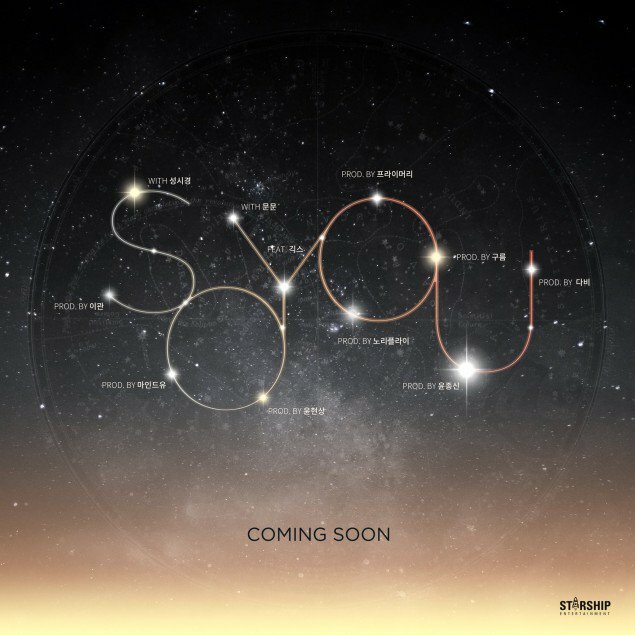 Soyu will be collaborating with several producers and songwriters for her upcoming solo album. Now these artists have been revealed. Previous reports state Yoon Jong Shin and Sung Si Kyung will be collaborating with the songstress. Also Read: SONAMOO Making Comeback with "Happy Box Part.2"
More names have now been revealed by Starship Entertainment as Lee Kwan, Sung Si Kyung, Mind U, Yoon Hyun Sang, MoonMoon, Geeks, No Reply, Primary, Cloud, Yoon Jong Shin & Davi.